Eamonn Holmes: I'm not a fan. As you can probably tell. You would be excused for assuming I was watching the trailer for a new J. J. Abrams epic this morning. But, no, it was an advert for Sky News’ coverage of the earthquake disaster in Japan. And not just ‘normal’ coverage. Oh, no. ‘Continuous coverage’, spat out the embossed and heavy font covering a black void which had moments before crossfaded footage of floating cars, shipping vessels being crushed like toys and destroyed villages. All that was missing was a few clips of Jason Statham chewing bullets whilst round-house kicking people in the face. There is something deeply unsettling about Sky News and their insistence on making blockbusters out of real-life disasters. They seem eager – desperate, almost – for something horrific to happen just so they can create a new logo and theme tune to market it. 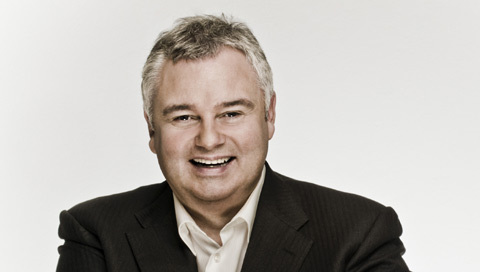 The fat, eternally nonchalant figure of Eamonn Holmes sat at his desk this morning, leaning casually on one elbow. They’d called in the thirty-sixth ‘expert’ in as many minutes and Eamonn was on a mission to make a nuclear mountain out of a safe zone molehill. What’s more, moments earlier, the aircraft-carrier-sized former GMTV presenter had reluctantly and barely audibly informed us that the radiation levels were, in fact, falling. Great news, no? No. Good news is most definitely bad news for Mr Murdoch and co. They thrive on drama and hearsay. News isn’t news at Sky unless it is stretched out to the nth degree of speculation. It’s telling, however, that they appear to have abandoned one of their most irritating disaster coverage rituals: sending out roving reporters to every corner of the disaster zone. They’re nowhere to be seen this time around. As far as I’m aware, you can still enter Japan, so why haven’t they gone? Ground-breaking news? Ground-breaking cowardice, more like. My best wishes to all affected by the disaster. Absolutely agree with every word! It’s catching though; even the good old BBC can’t help but sound a bit disappointed if any of the news might be sounding a bit less doom and gloom – they relish a bit of misery.